More evidence has emerged of how well AMD’s Ryzen line of processors are chipping away at Intel’s dominance of the CPU market. The new confirmation of AMD’s rise comes from German retailer Mindfactory.de, which has released its CPU sales data (which were then picked up on Reddit) for the period between March and August 2017. Back in March, AMD CPUs accounted for just 27.6% of the retailer's CPU sales, compared to 72.4% for Intel. 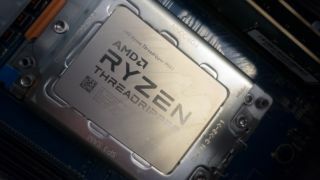 However, in April after the Ryzen 7 1800X, 1700X and 1700 had launched, and which saw the introduction of the mid-range Ryzen 5 chips, AMD’s share rose to 36.5% while Intel’s dropped to 63.5%. This pattern of AMD clawing back market share from Intel is repeated throughout the year, and in August 2017 AMD actually overtook Intel – 56.1% to 43.9%. That’s a remarkable turnaround from the start of the year. Of course, this is just data from a single retailer in one country, but such a huge swing in AMD’s favor means it’s very likely that we’ll see an overall shift to AMD, though maybe not quite so pronounced. It’s also worth noting that Germany is a very big market for PC components, so even with this limited data, AMD must be feeling pretty happy right now – and Intel feeling a bit nervous. AMD will reveal its quarterly results in the next month or so, which should give us a better idea of how its doing. As for Intel, this may be a wake up call that AMD’s aim of offering high core and thread counts at very competitive prices is doing real damage to their market share. Could we see more competitive prices from Intel in the future? We certainly hope so.